I’m a girly girl and I love the color pink. And glitter. So what?! Last week my husband bought me my first semi-automatic handgun- a Smith and Wesson .380 “Bodyguard” (hence the name Kevin Costner…from the movie…get it??) 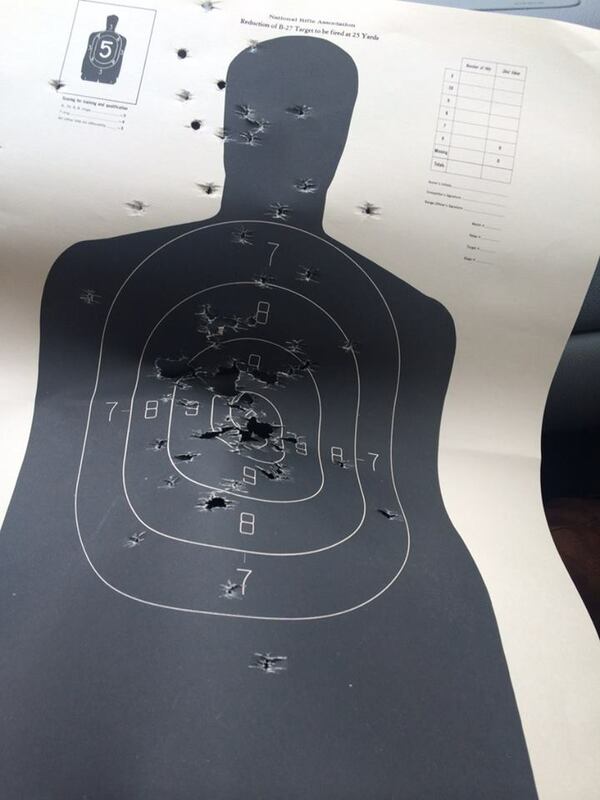 So today we went to the range. 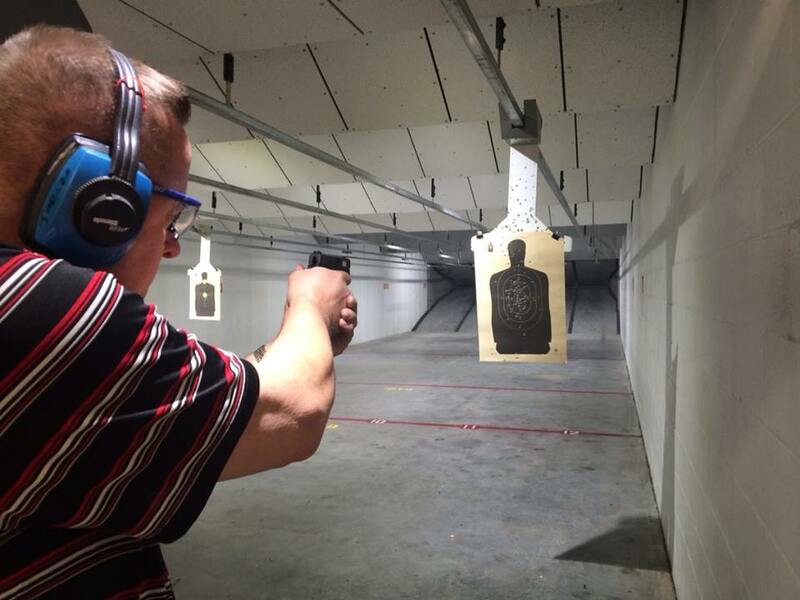 Eagle Eye USA is a new range that just opened up in our area so we decided to give it a shot (pun intended). Donning my new pink ear pro, a cardigan, skinny jeans, and my cutest boots, I wrapped my newly polished fingers around Kevin Costner, pulled the trigger, and blew up that target. 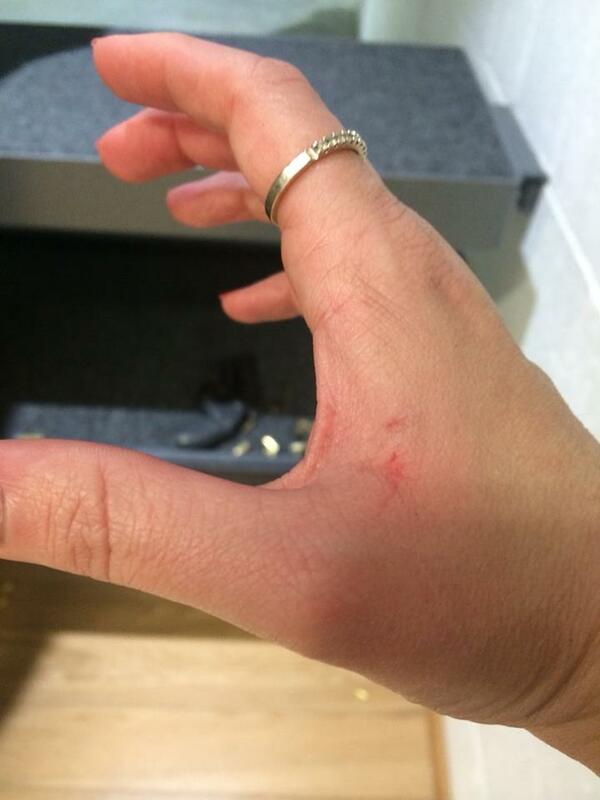 Even if the kick back was so brutal if left bruises on my hand. What’s my point? I’m a lady, but I can shoot. My husband, an expert marksman, has taught me well. He sensed my apprehension the moment he put that gun in my hand, but he slowed me down, taught me all the ins and outs of it, and didn’t make fun of me when I named it Kevin Costner. Of all the dates that we have gone on together, this was probably my favorite. 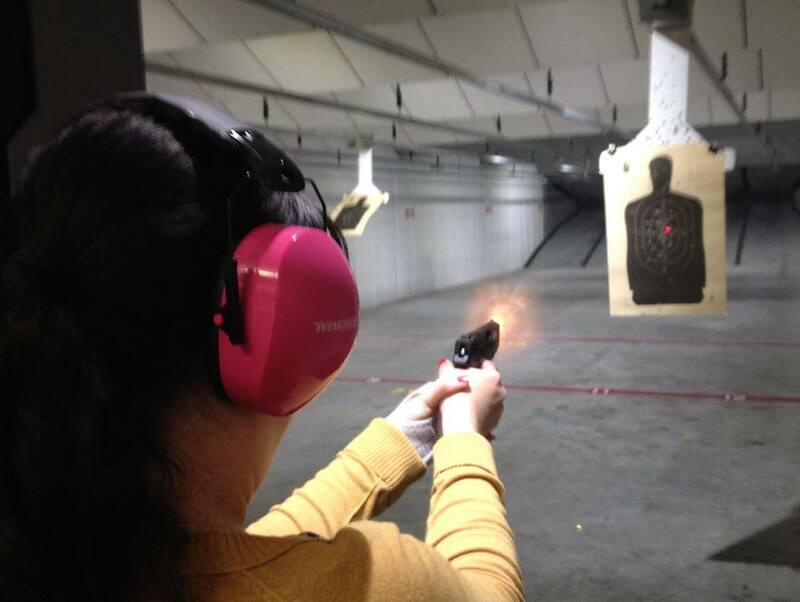 For some reason, there’s a certain romantic element to a date at the firing range. For one thing, my husband came behind me and wrapped his arms around me to help show me how to pull the gun in closer towards me. What girl doesn’t love that?!?! There is something about seeing my husband in his element that makes my heart flutter. Do you see the way he’s standing?? He knows what he’s doing. He’s a former police officer, former Marine, former Soldier. He knows his way around a weapon and he can hit the target dead on every time. When I’m with him, I feel safe and protected. Very protected. Edited to Add: After blowing out the center of the target, we decided to aim at other spots on the target. Don’t let those off-target shots fool you… they were intentional. We nailed it. Recently a friend posted a picture of a scrumptious looking dessert on Facebook along with the recipe and it made my mouth water. After looking it over I decided that I liked the idea but it needed some alterations. The recipe posted below is the result of my brainstorming. My husband and I are blessed to be friends with an Army Major and a Navy Commander who have a house full of kids that we love dearly. The Major and a handful of his kids are spending a few days with us this week and I wanted to whip up something special for them so I decided to give this recipe a go… and I’m glad I did. Being a good Army wife, I know my way around a 5 point Op Order, but I’m going to switch it up and present my own 3 point Op Order here for logistical purposes. Let’s get started. 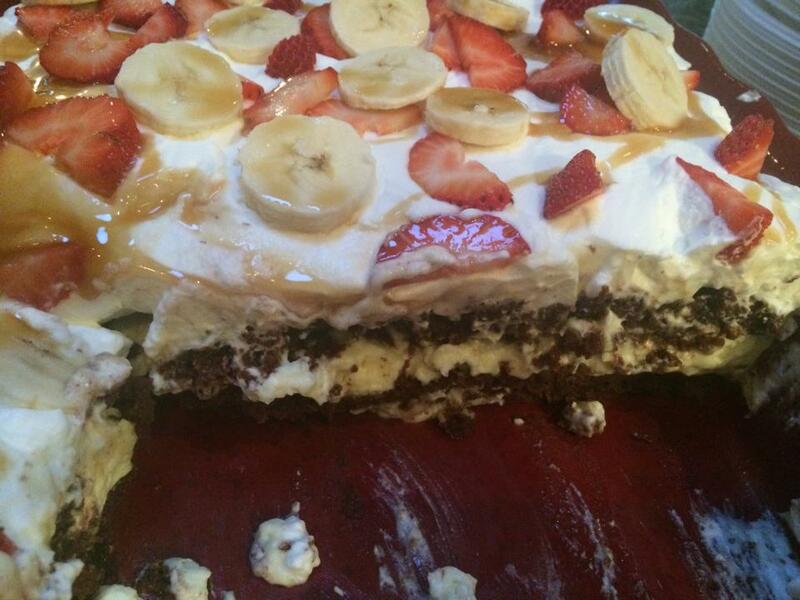 We’re making a layered dessert with brownies, creamy fillings, and delicious toppings. The oven should be set according to the brownie instructions. You’ll need a good mixer, two 9×13 pans, baking spray, a whisk, measuring cups, and assorted bowls. *Coat matching 9×13 baking pans with baking spray and bake brownies as instructed on mix packaging. *When brownies are almost completely cooled, begin preparing the first layer of filling by mixing the whipping cream and sugar together on high until fluffy, stiff peaks form. *Remove 3/4 of the whipping cream and set aside in a separate bowl. *In the bowl with the remaining 1/4 whipping cream, add the softened cream cheese, and powdered sugar. Mix well. *In a separate bowl, whisk together the milk and instant pudding. Add to the cream cheese mixture and continue mixing. *Spread cream cheese mixture over one layer of cooled brownies. 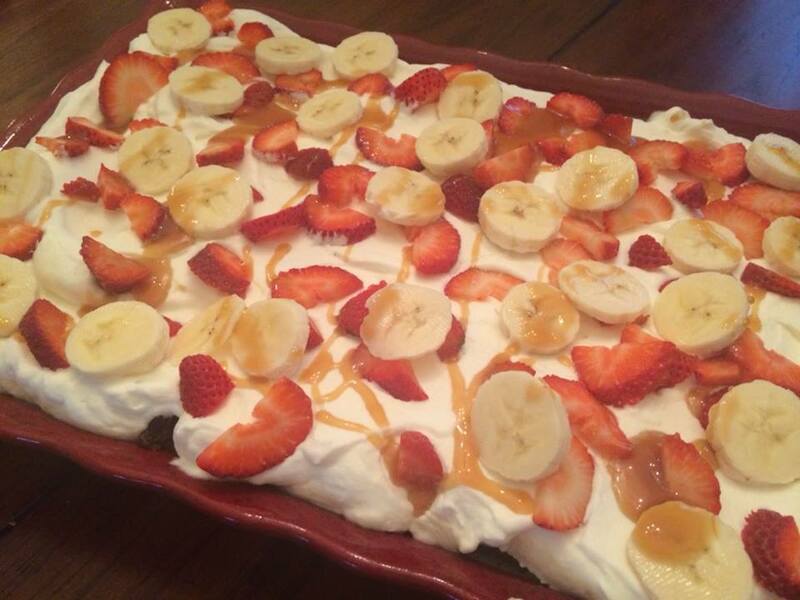 *Top with chopped bananas and strawberries and drizzled caramel and/or fudge sauces. I hope you enjoy this dessert as much as we did! Some people show love through words of affirmation, gifts, physical touch, quality time, or acts of service. I have found that I have my own love language- food. Nothing makes me more happy than watching the people I love dig into a plate full of something I’ve whipped up and hearing their collective “yummmmmmmmm…..” as they eat up every crumb. 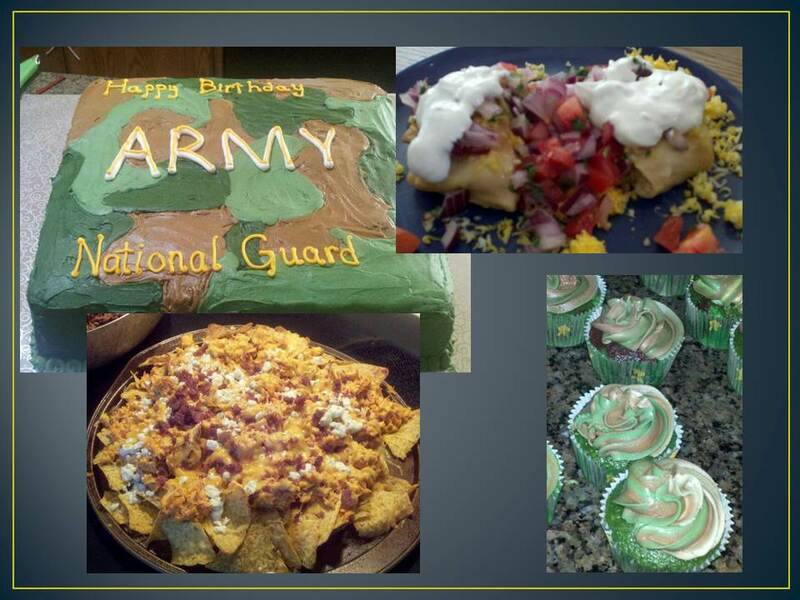 Whether I’m hosting a handful of soldiers for the weekend, making a cake for their annual Dining Out, delivering hot sandwiches to them while they’re pulling flood duty across the state, or making an assortment of cupcakes for one of their weddings, I’ve found many ways to say “Thank You” to members of our military with food. On this new page titled “How To Feed A Soldier” I hope to share soldier-approved recipes and morsels of wisdom on how to feed our Joes- body, mind, and soul. Wednesday evening as Americans heard of the active-shooter situation on Ft. Hood, military families glued themselves to their televisions, began texting their friends, and relied on Facebook to locate friends and loved ones who might have been in harm’s way. My husband and I were sitting in the lobby of a martial arts studio where our children are learning Hapkido. The moment the story broke on Fox News we looked at each other and asked, “Who do we know at Ft. Hood?” We both began scrolling through our phones, checking in with other military families. Within an hour, a rumor had travelled through our circle of friends that the suspect was possibly a soldier who was disgruntled about a health care matter. One preliminary report suggested that the suspect might have been a part of a WTU or Warrior Transition Unit- a unit that holds wounded soldiers until they can transition out of the military. Later that evening in the first news briefing on post, Lt. General Mark Milley confirmed that the suspect had been under review for a possible diagnosis of PTSD. At that moment, the entire wounded warrior community collectively winced. Post Traumatic Stress Disorder, or PTSD, does not explain or excuse the murder of three soldiers and the injuries of 16 others. The fact that the media is quick to link PTSD with this tragedy shows society’s general lack of understanding about what PTSD truly is. For the 200,000+ Veterans who have been diagnosed with PTSD since 2001, the diagnosis often comes as an embarrassment because of the stigmas that are so often associated with the disorder. Before I met my husband, I thought that having PTSD meant that you had nightmares and flashbacks about your past and that you were really jumpy, especially around things that might sound like gun fire. 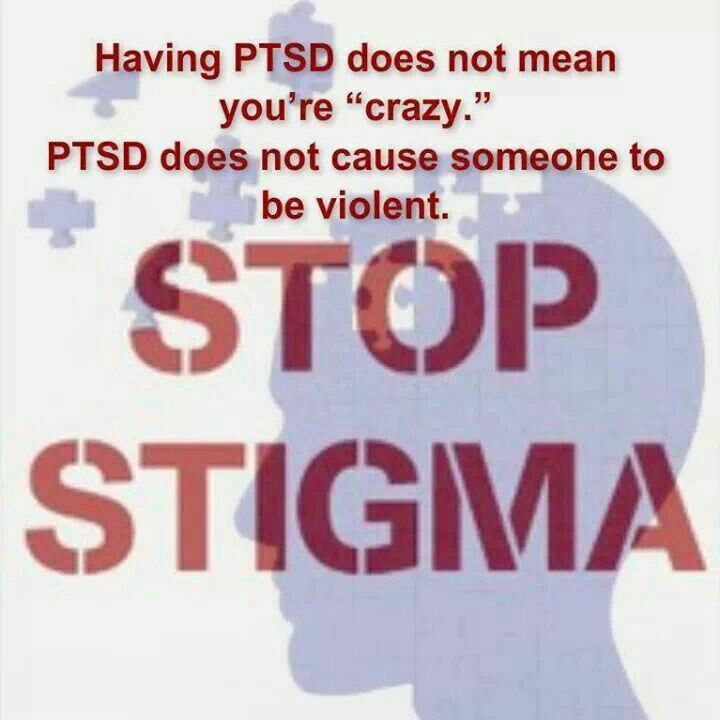 While that certainly can be part of it, PTSD is so much more. And so much less. Every case is different as every person who experiences trauma is different and every traumatic experience is different. Associating PTSD with the Ft Hood shooting is as wrong as associating Puerto Ricans with the shooting. Or male soldiers with the shooting. Or people who eat cheese burgers with the shooting. IF the suspect actually did have PTSD, then we as a nation failed to help him get the help that he needed and deserved. If he didn’t have PTSD, then he obviously had other demons to wrestle with. 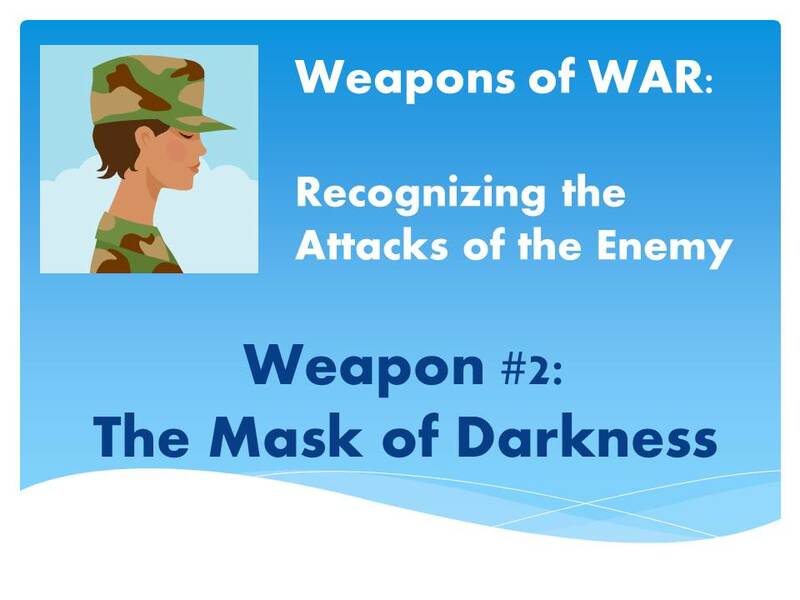 Either way, the 200,000+ Veterans who bravely and selflessly served their country and now carry the invisible wounds of war with them every day do not need to walk in the shadows of this tragic event with the stigmas that have been tied to their disorder. Our soldiers should be proud of their service and hold their heads high. Please don’t associate PTSD with murder. Don’t associate it with the tragedy that occurred at Ft. Hood. Don’t let the actions of one cloud your opinion of many. Didn’t we learn our lesson after Vietnam? Didn’t we learn the dangers of stereotyping our soldiers? Didn’t we betray our heroes enough then? It’s time for us as a nation to take ownership of our thoughts and our actions towards the ones who protect and preserve our freedom. What happened at Ft. Hood on Wednesday was absolutely tragic. And as in the case of most tragedies, we want to find someone or something to blame. The shooter is now dead. He won’t stand trial. We can’t ask him about his motives. We may never understand why three innocent lives were ended and so many more were turned upside down. Like everyone else, I was quick to speculate and form my own opinions. I posted on Facebook, “maybe the Army will wake up and realize that there are consequences for the way they disrespect soldiers by jacking around with their medical treatment. Not that I condone a shooting but I understand how escalated those situations can get.” As a member of the wounded warrior community, I wanted the higher-ups to be blamed for this tragedy to make up for the countless lives they will never be held accountable for ruining. As a friend to countless Veterans who would rather go untreated than to continue being disrespected by the people who are supposed to help them, I ache to see them brought to justice. I wonder what it will take before our soldiers are treated with the respect and honor they are due. But just as it’s wrong to blame PTSD for this violent event, it is equally as wrong for me to blame the Army or the health care system. The bottom line is that we all must be accountable for ourselves. We must stand for truth. We must speak out against actions that are unjust. We need to be grateful for the sacrifices of our Veterans, sensitive to their circumstances, and encouraging to their souls. We each must do our part- whether we are a hospital administrator, a congressman, a spouse, a friend, or a guy standing in line next to a Veteran at McDonalds. We have to be responsible. We have to make a difference. We have to care. What Ever Happened To R-E-S-P-E-C-T?? Five years ago, in a hell hole called Mosul, Iraq, my husband was injured multiple times in multiple ways. He broke ribs, almost severed a finger, compacted some vertebrae in his neck, and hit his head more times than he can count resulting in a number of concussions. These injuries led to the diagnoses of Post Traumatic Stress Disorder and Traumatic Brain Injury. He’s not alone. It has happened to thousands of his brothers and sisters in arms. America seemed to learn her lesson after the horrible way we treated Soldiers returning from Vietnam. That was before my time but I understand that our Veterans were not given a Hero’s Welcome as they should have. Today, most Veterans will tell you that the American people are very appreciative of their service. People shake their hands at the airports. They buy them coffee at Starbucks or pay for the dinner when they’re eating out. Countless organizations work selflessly to meet the needs of today’s Veteran by providing scholarships, opportunities, camps, retreats, guitar lessons, service dogs, financial assistance, mortgage-free homes, and so much more for our military families in need. It seems everyone in our country appreciates the sacrifices of our Veterans, except our government. What do I mean by that? Turn on the evening news or scan your favorite online news source and it won’t take you long to find a story about proposed budget cuts for our military. 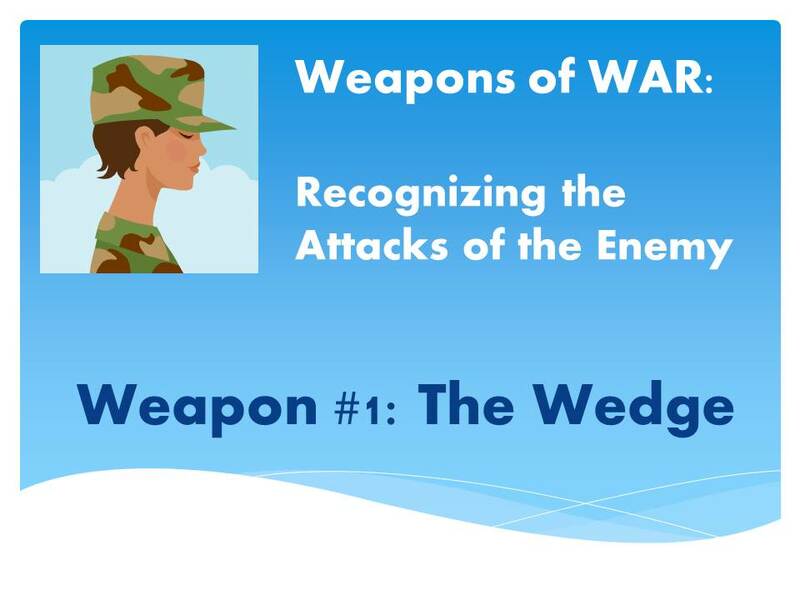 The current administration seems determined to whittle us down to the weakest military in our nation’s history. Obamacare has ruined military health insurance making it completely unaffordable for military families to even catch the common cold. In the past six months I know two military families very personally who had to bring their sick children home from the hospital with immense difficulties breathing because their insurance would not allow them to be admitted. Instead, their mothers sat awake by their bedsides for days praying to God that their children would keep breathing. It’s not just Washington that is ignoring the sacrifices of our Vets. The lack of respect trickles down throughout much of the US military. I will be the first to say that we are blessed to know a number of hard-working, dedicated, loyal officers and administrators throughout the US military that will go above and beyond to help the men and women in their ranks. Sadly, there are some that have taken their Commander in Chief’s position and care more about their golf game than their Joes. Yesterday, my husband, my hero came home to find a white US postal priority mail box sitting in our wet driveway. The contents inside were quite surprising. A large envelope inside contained a number of certificates in both his and my name congratulating us and thanking us upon my husband’s medical retirement from the military. 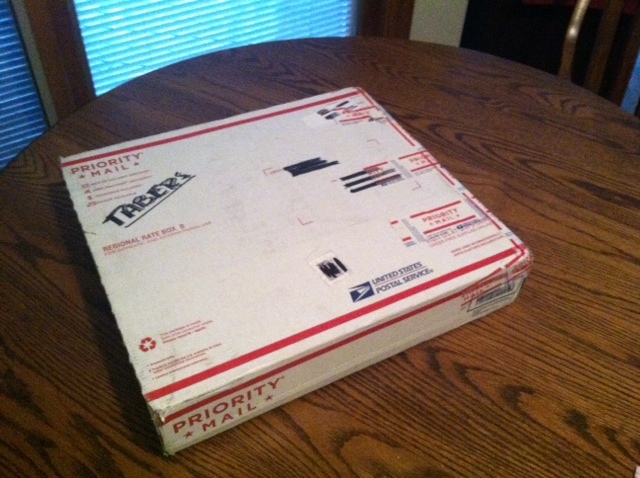 A box inside contained some decals, a pin, a DVD… and a folded American flag. His retirement flag came in a box and was left in our driveway. No ceremony. No presentation. Just a folded flag in a box on the ground. Is this what it comes down to? A life of service and selfless sacrifice ends with a box on your driveway? This blog post isn’t a call to action or a rally cry. It’s not even a public bashing of our government or our military. It’s the words of one woman who wishes everyone else was as proud of her husband as she is. It’s the words of a wife who is thankful that her husband lived to come home from Iraq knowing that not all wives are that fortunate. It’s the words of a mother who wishes her children had been given the opportunity to see their daddy properly thanked and recognized for the sacrifices he made. It’s the words of an American who is embarrassed and ashamed of the lack of respect in our nation for our Veterans. Edited to add: These thoughts are my thoughts. Not my husband’s. He has never expressed any desire to have an official retirement ceremony. In fact, he’s the type to brush off such an occasion as he is not one that likes to draw attention to himself or receive recognition for the things he does. He has read my blog post and he understands my feelings, but he has in no way contributed to the writing of this post. This is my blog. A place where I express my own feelings. And I believe I have made MY feelings on the issue quite clear.